Who says you can't have pizza for dessert? Loaded with strawberries, bananas, marshmallows and caramel sauce, your kids will love these mini dessert pizzas! 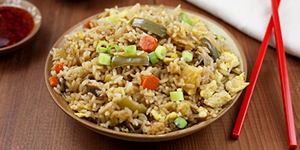 Forget the tomato sauce and mozzarella cheese! It’s time for a sweet pizza loaded with fruit and ooey-gooey marshmallows! 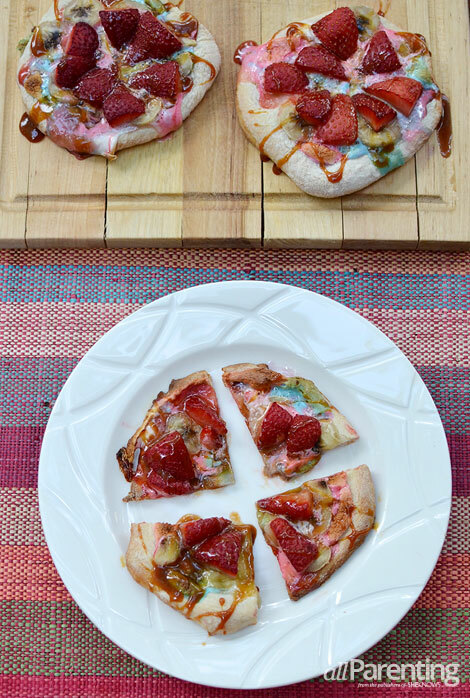 For this dessert pizza, the melted marshmallows will substitute for the traditional tomato sauce and cheese on a pizza, while the fruit substitutes your favorite pizza toppings. And the caramel sauce? It’s just for added sweetness, flavor and creamy goodness. For extra fun that your kids will love, use colorful marshmallows! Switch up your fruit toppings for variations of these mini dessert pizzas. Try blueberries and peaches together or raspberries and blackberries to change it up! Spray pizza trays with nonstick cooking spray. Set aside. Flour a cutting board and divide pizza dough into 8 small balls. Using a rolling pin or glass jar, roll out 8 small pizza rounds. Carefully place on greased pizza trays. Bake pizza rounds for 6 to 8 minutes; remove from oven. Top pizzas with marshmallows, bananas and strawberries. Bake 5 to 6 minutes or until pizzas are browned and crisp around the edges. Have your kids practice rolling out pizza dough! 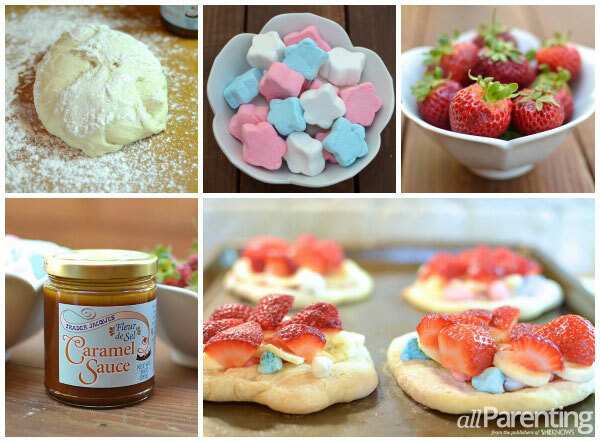 Kids can sprinkle mini marshmallows or break up larger marshmallows to top pizza rounds. Since you don’t have to use a sharp knife to cut fruit, kids can slice and dice the banana and strawberries and sprinkle onto the mini pizzas. Hand them a spoon to drizzle on the creamy caramel sauce!